HeroDock offers a clean and modern look and is packed with valuablefeatures. Easily store your earbuds or a flash drive using a smallhook on the Rear Support. A stylish aluminum base, weighted slightly, with two patent-pendingsuction strips on the bottom secure to secure the dock to mostsurfaces. A stable, secure, ergonomically-designed base with easyone-hand release is perfect for your busy kitchen countertop, youroffice or your bedside table. 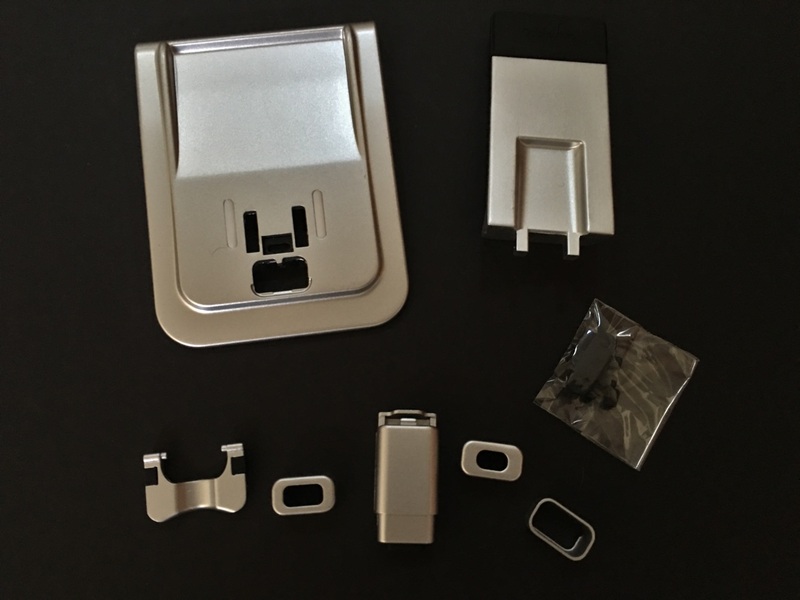 Designed to fit your device, your cable, your case. 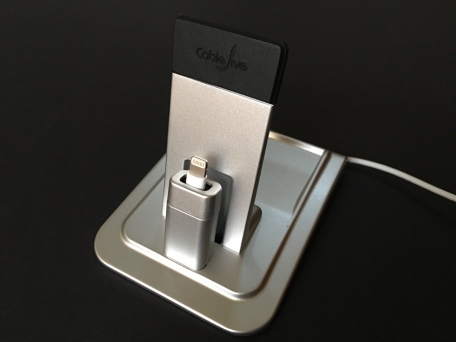 HeroDock is compatible with the most charge and sync cables on themarket. 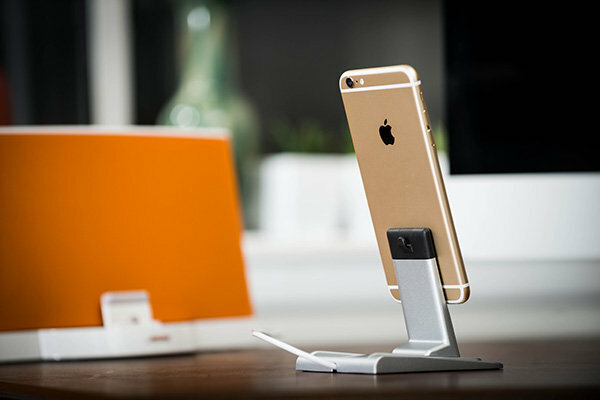 HeroDock is designed to hold all smartphones and tabletsincluding iPhone 6, Android, Windows tablets. And, HeroDockaccommodates most cases and covers. djust to fit your case. Two key features make HeroDock compatible with your case.HeroDock's solid stage can be adjusted forward and backward toaccomodate even the thickest, most protective case. And, a uniqueassembly process securely adjusts the cable height to fit insideany protective case. The perfect tilt for comfortably hosting a FaceTime call orwatching videos and movies. The raised stage offers great acousticsfor speaker calls or streaming audio.